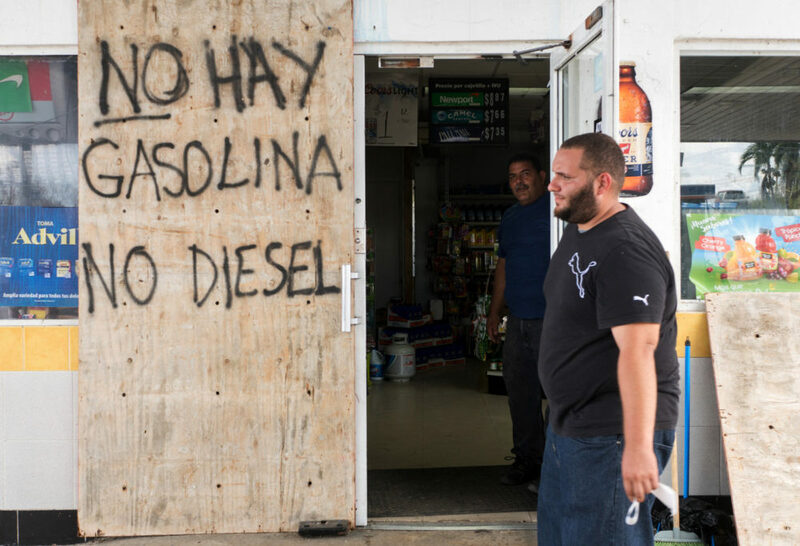 Gas is scarce in Puerto Rico. 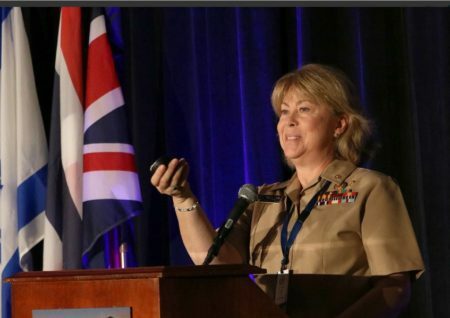 East of San Juan, a station is due to receive fuel — but no one knows when the tanker will show up. Some people are angry. Others are playing dominoes. 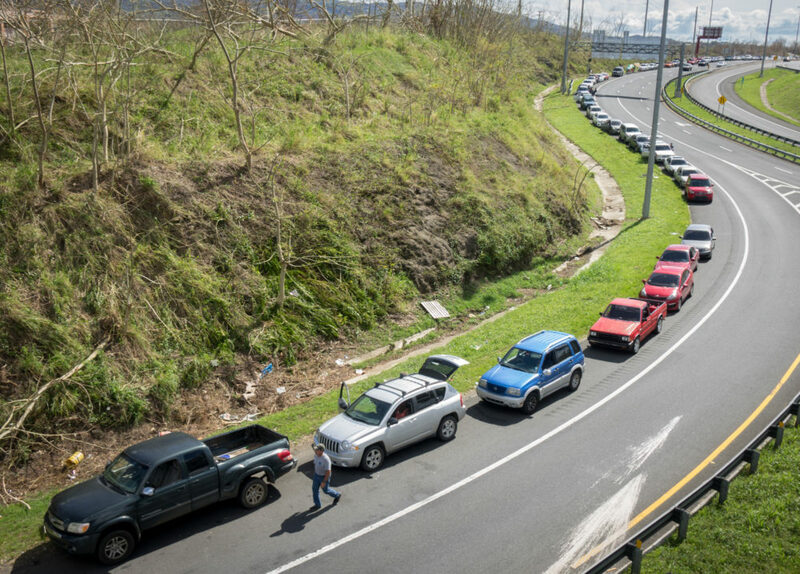 A line of cars stretches for a mile at the Gulf Route 65 gas station in Rio Grande, Puerto Rico, as people wait for a gasoline tanker, scheduled to arrive with fuel sometime Monday. 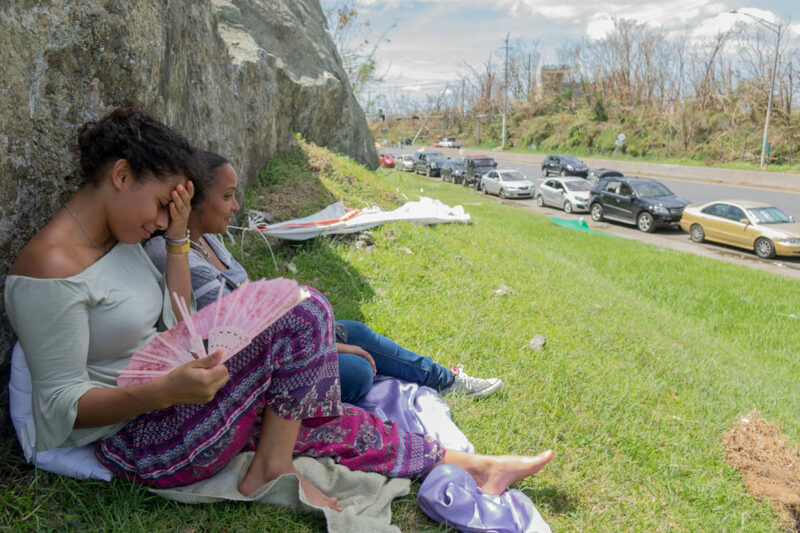 In a tiny sliver of shade, on a hill next to Puerto Rico’s Route 65, Kiara Rodriguez de Jesus waves a sparkly pink hand fan to keep cool. Along with her family, parked in a Volvo SUV, she has been in line for gasoline since 3 a.m., she says. Now it’s after 1:30 p.m. And like everyone else at this gas station, she has no idea how much longer she’ll be waiting. 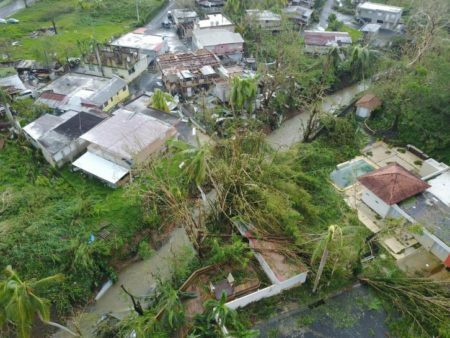 Limited availability of gas has been a problem across Puerto Rico ever since Hurricane Maria hit last week. This station in Rio Grande, about 15 miles east of San Juan, doesn’t have any gasoline at all right now. But it did have gas on Sunday night — until it ran out early Monday morning. By the afternoon, about a hundred cars, along with scores of people with hand-held gas cans, were waiting for a new tanker to arrive. Like nearly everywhere on the island, Rio Grande lacks cellphone service. There is no way to get word from the truck driver, and so it’s anyone’s guess when the tanker might arrive. “I’ve been here for six hours,” says Cindy Algarín, near the front of the line. “I’ll wait six hours more.” In fact, she has waited so long she has lost count — it has been closer to nine hours. 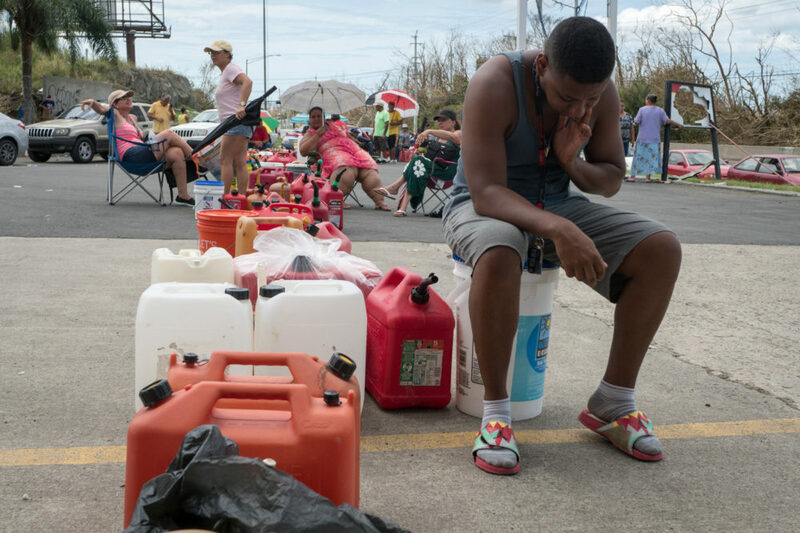 She has been here since the station ran out of gas at 5 a.m.
People have been waiting in line inside cars and on foot with gas canisters since before sunrise on Monday in Rio Grande, Puerto Rico. 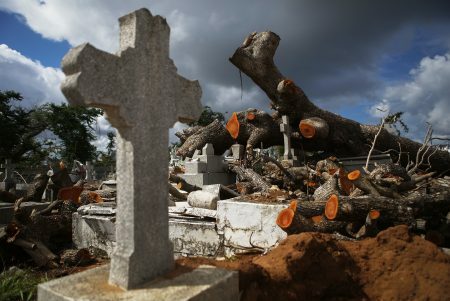 Authorities in Puerto Rico say there isn’t a gas shortage. Instead, they say that distribution has been disrupted by the storm. At least one official has urged residents to buy fuel only in case of emergencies. 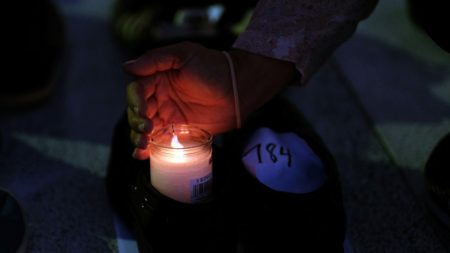 Alfred Rodrigo Maldorado is frustrated with the official response — not just to the gas problem, but to the disaster in general. He says he can’t see Puerto Rican officials or police doing anything to help. Yes, the storm was strong, he says in Spanish, standing by the useless pumps. Maldorado is angry, and he is not alone. Many people in this line are just exhausted. But nobody seems to be giving up. In a shady spot right next to a pump, Jose Santiago, Edith Castro, Julia Rivera and Hector Flores were passing the time with ease. They didn’t know one another until early Monday morning when they met in line. Castro brought a folding table with her. They set it up, pulled out dominoes and started to play. Eight hours later, they were still going strong. Santiago said he and Castro were winning; Rivera said he and Flores were ahead. No matter. They laugh and groan as the game continues. Santiago says he is not going anywhere. He just had sandwiches for lunch. And if gas doesn’t arrive by dinnertime, his wife will come drop off rice and chicken for him. “Oh, I’m staying. I’m gonna stay,” he says. And his spot in line?